Musings on Love, Life, Loss and the Lyrical Patterns of Lessons in Between…. Questions of the day: Have you recently experienced the loss of a loved one or the loss of a highly valued job, a business opportunity, a friendship, a relationship, or an asset? Are you fighting your emotions or simply allowing yourself to feel all the feelings associated with your loss? Are you feeling sudden bursts of Denial, Numbness, Anger, Sadness, Fear, Hurt, Guilt, Shame, Regret and Pain? Are you oscillating between states of high energy, when you lovingly remember a funny/happy memory and soon, your feelings crash down to sudden ‘lows’? Does the pain of the loss still randomly hit you, overwhelming and breaking you down and knocking you to your knees? Are you feeling physically, emotionally, mentally and spiritually drained and sometimes disconnected from everyone/everything around you? Do you just wish to crawl into bed, stay there and shut out the outside world, which is seemingly oblivious to your sense of despair? Most of us have experienced the pain and sadness associated with the loss of loved ones. This is a blog post about allowing ourselves to heal. 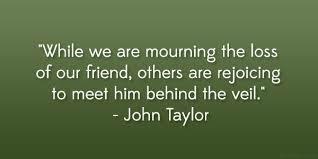 The focus of today’s reflection is GRIEF. The definition by online dictionary, Thesaurus: Grief (griːf/, noun- Intense sorrow, especially caused by someone’s death. The pain and shock caused by a loss may lead to extreme, and sometimes unhealthy, new patterns of behaviour. If these patterns last beyond a temporary period of time, then perhaps, it is important to seek empathetic help and support from professionals and/or loved ones. (Various researches have shown that the presence, support and love from loved ones and even strangers, make a huge difference to the healing curve). Of the many emotions one experiences after a loss, perhaps the three really important ones to watch out for are Denial, Guilt and Shame. This is because other emotions-anger, sadness, fear hurt, regret and pain, which are warranted emotions, when expressed in a healthy way, may lead the person to a sense of release, acceptance and closure over time. On the other hand, feelings of denial, shame and guilt prolong the healing period and may make one sink in deeper into a prolonged, unhealthy spiral of mourning and grieving. To experience grief fully, without reservation, is itself, an important piece of the healing process. The loss of someone or something very dear to us, creates a shift in our perspective of the world and life in general. This is as it should be because we are not the same person we were before the loss and we can never go back to being that old person. Irrevocably, we are changed, for better or worse, by that singular experience. And it still comes down to the choices we make, either consciously or unconsciously. An interesting and empowering thing about the pain of loss is that if we pay close attention, the purpose of the death should compel and free us to re-prioritize and reflect upon our own lives. Death is the most sacred of gifts…. And it should also push us and inspire us to pursue only those things that give us the most joy, as well as adding the most value. The loss of a loved one then simply acts as a boulder, and its role is to make us pause and reflect, as we are reminded that with every breath we take, death looms nearer, waiting in the shadows. Each day we wake up is a day closer to the end of our journey. What is the quality of the memories we wish to celebrate at the end? What is the life story we want told? Begin to live the future you dream of for yourself NOW, because the choices you make now, create the tomorrow you either desire or despise! You get to tell your story, so BE and LIVE the story you really want told. Death offers us a chance to pause, take a deep breath, and recall shared memories of our loved ones. Death provides the fertile ground to forgive both ourselves and the deceased of things we should have, could have, would have done differently. It allows us an opportunity to really stop everything, as we share our grief and connect meaningfully with the deceased by building a legacy that upholds and reflects their values and purpose. Therefore, we must seek grace so that we do not waste the inherent power and beauty that our loss affords us. Everything has a purpose, nothing in life is an accident, most of all, death. Thus, the purpose of death becomes that of either being a jarring blow or a gentle reminder. It is an external and internal alarm clock that wakes people up and draws the attention of the living towards their own path, their own purpose, their own destiny. Periods of grief are also a time to also take another hard and honest look at our lives and course-correct our track, if necessary. It is a time to strengthen existing bonds, heal broken ones or get closure and finally move on. Death is a destroyer of arrogance. It humbles us in a way that very few things can. It is a time to break down our walls and love unconditionally, without judgment. It is in periods of intense sorrow that we ask the most important ‘WHYs’ of our existence. The answers are already within us, we simply need the right questions to unlock what we already know. Death allows us to question what is truly important to us about life and living it. In the haunting pain and sorrow of death, we catch a glimpse of the healing beauty and joy of life. There can be no greater opportunity for growth, learning and transformation than through death. It lends itself to such a literal and metaphoric finality that we are forced to pay immediate attention to the pain it elicits. To everyone and anyone experiencing intense sorrow over the loss of someone or something precious, I join others across our global WWN community in reaching out to you. We share our common connectedness and exchange our energy of understanding, of empathy, of unconditional love and of healing. Know that God walks with you, always, especially in the valleys, his light is there to comfort and guide your ways. We hold sacred space both for the living survivors, and lend them strength to carry on and also for the dead, who’ve simply moved on to different realms, planes and dimensions of existence. Time in itself doesn’t heal, I’d like to think that we choose to heal, in time. Yes, we choose to heal and live and thus honour the spirit of the dead. If not, what difference would it then make if we either lived or died? Remember that death is itself a metaphor for life and vice versa. One journey starts when the other end, so loved ones never really die, they are merely transformed. Everything and everyone is energy and because we have shared the sacred space of living with them, they leave a part of themselves with us, the most important parts of them; their love, spirit, essence and core. These are what we must honour. As we grief and mourn for different reasons, let us reflect deeply on the truth that one of the greatest gifts of deep loss is the profound understanding that we must all learn to surrender to life, to be more accepting and allowing of letting go, of forgiving, while focusing on embracing both our nothingness and our majesty, and owning both our humanity and our divinity. Blogger’s Note: This post was inspired by 2 people; a dear childhood friend who recently lost a beloved spouse and the recent death of one of my cherished spiritual mentors. 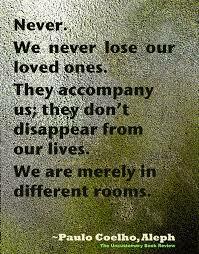 In the death of a loved one, we are all reminded of the precious, albeit often dismissed, gift of life. And even as we mourn, we hold firm in faith that sustenance and comfort will come our way. We are strong believers; we believe in the oneness of all of God’s creatures, we believe in a resurrection, we believe that the deceased are gone and yet still here with us. Their essence and footprints surround us, even though we no longer physically see them. Also, we know and believe that this too shall pass and although the pain may sometimes be overwhelming, we have faith in the abiding grace of God to lead us through this stormy waters of our grief. We are open and willing to dance to the lyrical drum beats of our grief. Dance your dance, in your own unique way, take your time and one day soon, you will find your way and heal. In all things, in celebration and as well as in mourning, we remain grateful and so, we lift up our hearts in prayers of love and thanksgiving. May the power of our collective wishes give strength, healing and peace to those among us who mourn and grieve. For indeed, we are all strengthened by the power of our connectedness. Indeed, ALL things work together for those who believe. The task is to let go of our ‘stuff’ and DECIDE to believe! May the souls of the departed, Rest In Perfect Peace, Amen. Through the pain and the storm of your loss, may you be willing, ready and open to agape love. In love were you created, with love were you moulded, through love were you redeemed. At your core, you are love! May this eternal spring of love provide the soothing balm to heal the sharp sting and/or numbing heaviness of your loss. The preceding is a guest post from Juliet Ume, MBA –Co-Founder and Executive Director of Whole Woman Network. 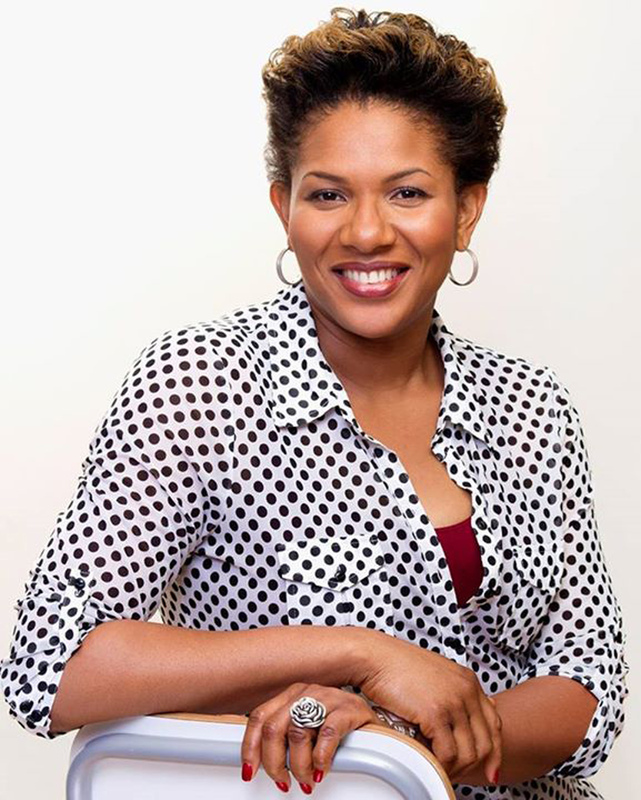 Juliet is the author of the upcoming books: “UN-Locking Your HeArt of Leadership” and “Today, I Will Not Bow”. A self-described Life-Connoisseur, who loves life and the whole human experience, Juliet was nicknamed a ‘reminderist’, [one who reminds us of that which we already know; that we are not fractured or broken and NOW is the perfect time to replace that fallacy with a new, beautiful truth: we are worthy, empowered, complete, whole creatures and our life journey is to return to wholeness]! She is a passionate advocate of WomEntrepreneurship, Leadership, Investment & Financial Literacy for women and youth (especially girls). Her mission is simply to engage, educate and empower women, regardless of their levels of income or background, to return to ‘wholeness’ and live Healthier, Sexier, Wealthier Lives using Faith-based, Scientific and Universal (Common-Sense) principles! Follow her on Twitter: @wholewomaninc, @julietumeinc. Enjoy some of her portfolio of poems on her Floetry Blog and follow her daily reflective posts on Facebook. ← Why is Financial Literacy Important for Women?